SILVER SPRING, Md., March 21, 2019 -- UMC (Urban Movie Channel), the first and leading streaming service for Black film and television from AMC Networks' RLJ Entertainment, is excited to announce that it has received three Daytime Emmy award nominations for its popular crime drama series, "Bronx SIU:"
The series follows the pursuits of homicide detective, Jimmy Blue (White) as he heads up an elite unit of investigators tasked with solving the boroughs most heinous crimes. After his life-threatening, on-the-job injury reveals a crooked cop in the SIU division, the second season follows the team as they work to seek out the mole and uncover the truth around Jimmy's case. "Following last year's Daytime Emmy nomination for Richard Brooks' role on Victoria Rowell's "The Rich and the Ruthless," we are thrilled to be recognized by the National Academy of Television Arts & Sciences for a second year," said Brett Dismuke, Chief Content Officer of UMC and Sylvia George, UMC's General Manager. "Our content creators are the heart of UMC and without the execution of their visions bringing these stories to life, we wouldn't be able to showcase the level of diversity and representation that audiences crave. Congratulations to Brian, Shanti, Ameer and the entire 'Bronx SIU' team!" Created by Dan Garcia and Michael Mayhall, the first season of "Bronx SIU" premiered in July of 2018. Season 2 of the crime drama, "Bronx SIU: Vengeance," premieres today, Thursday, March 21st. New episodes air weekly through Thursday, April 25, 2019 after which both Seasons 1 and 2 of the series will be available to stream in their entirety at any time. UMC (Urban Movie Channel) is the first and largest subscription streaming service dedicated to Black film and television from AMC Networks' privately-owned subsidiary, RLJ Entertainment. UMC displays fresh original series, feature films, documentaries, stage plays and other popular Black entertainment with new and exclusive content added every week. Watch UMC on iOS, Apple TV, Android, Amazon Prime Video Channels, Comcast's Xfinity On Demand, Roku, Amazon Fire TV & Fire TV Stick. At www.UMC.tv, UMC offers a free 7-day trial and thereafter is just $4.99/month or $49.99/year. Keep up with UMC on Facebook at Facebook.com/UrbanMovieChannel and on Twitter/Instagram @WatchUMC. Holland America Line Bestows Shared Humanity Award to Oprah Winfrey. SEATTLE, March 14, 2019 -- At a special gathering on board Nieuw Statendam following the special Girls' Getaway sailing in partnership with O, The Oprah Magazine, Holland America Line bestowed its Shared Humanity Award on Oprah Winfrey — philanthropist, global media leader and founder and editorial director of the magazine. At the event, Holland America Line presented a $40,000 donation to Oprah Winfrey's Leadership Academy for Girls to commemorate the award and honored her as official godmother of the new ship. Holland America Line chose Winfrey for her commitment over the last three decades to bringing people together, breaking down barriers and inspiring greater understanding among people from all backgrounds, belief systems and walks of life. "Oprah has worked tirelessly throughout her career to enrich the lives of others, and she is globally recognized as a leader who has inspired millions to live their best lives and embrace that we are more alike than different," said Orlando Ashford, president of Holland America Line. "Oprah embodies the spirit and reason why we created the Shared Humanity Award, to reflect our higher purpose value of building connections and fostering understanding among people from different cultures as we sail the world. Oprah is exceptionally deserving to be honored and we are proud to support her work with a donation to Oprah Winfrey's Leadership Academy for Girls in South Africa." Winfrey's generous impact to the world began in 1998 when she created Oprah's Angel Network that supported charitable projects and provided grants to nonprofit organizations around the world. Oprah's Angel Network raised more than $80,000,000 before ending in 2010. In 2000, during a visit to Nelson Mandela, Ms. Winfrey pledged to build a school for girls in South Africa to serve girls who showed outstanding promise despite their impoverished backgrounds and social circumstances. By 2012 Winfrey had donated approximately $400 million to educational causes, including more than 400 scholarships to Morehouse College in Atlanta, Georgia. In 2013, Winfrey became the biggest single donor with a contribution of $13 million to the Smithsonian's National Museum of African American History and Culture. "I've spent my life trying to be a missionary and a visionary of spreading peace in the world. The one prayer that I pray most often is 'God, use me for something greater than myself,'" said Winfrey in accepting the award. "There is nothing better than having acknowledgment that the work that you are doing is being affirmed by people who notice what you do. I appreciate that from you. Thank you very much and I'm grateful for the contribution to Oprah Winfrey's Leadership Academy for Girls." Holland America Line established the Shared Humanity Award in 2018 to recognize leaders who have dedicated their life to inspiring others to see that the things that unite us are greater than those that divide us. This idea is the foundation of the cruise line's higher purpose values and the experiences they strive to bring to their millions of guests each year as they sail the globe – to open minds, build connections and inspire shared humanity. The first award was presented to Archbishop Desmond Tutu, the former archbishop of Cape Town, South Africa in 2018. Oprah Winfrey is a global media leader, philanthropist, producer and actress. For 25 years Oprah was host of the award-winning talk show "The Oprah Winfrey Show." As chairman and CEO, she guides her cable network, OWN: Oprah Winfrey Network; is founder of O, The Oprah Magazine; and oversees Harpo Films. Oprah starred in HBO Films' "The Immortal Life of Henrietta Lacks" and portrayed Mrs. Which in Disney's "A Wrinkle in Time" film adaptation from director Ava DuVernay. At the 2018 Golden Globes she received the Cecil B. DeMille Award, an award for outstanding contributions to the world of entertainment. In 2013 Winfrey was awarded the Medal of Freedom, the nation's highest civilian honor, and in 2002 she was the recipient of the first Bob Hope Humanitarian Award for services to television and film. Winfrey's cookbook, "Food, Health and Happiness: 115 On-Point Recipes for Great Meals and a Better Life," debuted at number one on The New York Times Best Seller list, as did her most recent book "The Wisdom of Sundays," featuring today's most admired thought leaders who have appeared on OWN's Emmy Award-winning talk series "Super Soul Sunday." The podcast versions of these interviews, "Oprah's SuperSoul Conversations," are also available on Apple Podcasts and where podcasts are available. Born from a pledge by Oprah Winfrey to former South Africa president Nelson Mandela, Oprah Winfrey's Leadership Academy for Girls is committed to providing a rigorous yet supportive education system that encourages high standards of academic achievement, service leadership and provides cultural enrichment for girls who show outstanding promise, despite their disadvantaged backgrounds. As of 2018 more than 430 OWLAG graduates have attended colleges and universities around the world, with 17 of those girls graduating from U.S. colleges and universities. Howard Milstein (second from left) celebrates the launch of Dr. Henry Louis Gates' new series, "Reconstruction: America After the Civil War," with (l-r) Professor David Blight, Abby Milstein, Dr. Gates, Professor Kimberlé Crenshaw, Julia Marchesi and Professor Eric Foner. The launch event was held March 4, 2019, at the New-York Historical Society. NEW YORK, March 13, 2019— March 4th, Howard and Abby Milstein hosted an evening reception and screening at The New-York Historical Society to launch the newest PBS series by Peabody Award-winning Harvard Professor Henry Louis Gates, Jr., Reconstruction: America After the Civil War. Civic leaders, academics and celebrities were all in attendance for the event, which culminated with a panel discussion on the upcoming series. Reconstruction: America After the Civil War is a four-hour documentary series hosted, executive produced and written by Dr. Gates. Dyllan McGee is also an executive producer. Julia Marchesi is the senior producer and director. Rob Rapley, Stacey Holman and Cyndee Readdean are producers/directors. The documentary will premiere on PBS stations on April 9 and 16, 2019. Featured guests joining the Milsteins at the launch event included Bill Moyers, Arthur Sulzberger, Jr., Maurice DuBois, Ryan Jamaal Swain, Hazel Dukes, Bill Thompson, Gay Talese, Michael K. Williams, Gloria Ruben, Zadie Smith, Margaret Hoover, Paul Steiger, Karen Duffy, Simone Boyce, Grace Hightower, Ron Insana, Joel Klein, T.J. Holmes, Faye Wattleton, Rhae Lynn Barnes, Lori Stokes, Louise Mirrer, Dyllan McGee, Rob Rapley, Cyndee Readdean, Stacey Holman and Jonathan Barzilay. The launch event and public television series are notable for their timeliness. In an era of increasing political hostility and a threatened rollback of affirmative action, civil rights and voting rights legislation, Reconstruction: America After the Civil War presents the definitive history of one of the least understood chapters in American history — the transformative years following the American Civil War when the nation struggled to rebuild itself in the face of profound loss, massive destruction and revolutionary social change. "We are honored to play a role in promoting Henry Louis Gates, Jr.'s important new documentary," Howard Milstein said. "In these difficult times, Dr. Gates' new series should serve as a stark reminder of how fragile our democracy and progress as a nation can be." Mr. Milstein added: "As a friend and admirer of Dr. Gates for so many years, I am constantly amazed at both his strength as a storyteller and his ability to foster crucial conversations about race, our humanity, and what it means to be an American." "Howard and Abby Millstein embody the rare combination of selfless philanthropy and a deep love of history," said Dr. Gates. "I could not think of a more perfect place to debut our Reconstruction series than at an event at The New-York Historical Society hosted by these special friends." The reception and screening were followed by a panel discussion with Professor Gates and fellow academics Eric Foner, Kimberlé Crenshaw and David Blight, as well as Julia Marchesi. Reconstruction: America After the Civil War takes a broad view of Reconstruction and its aftermath, beginning with the hopeful moment of war's end and emancipation in 1865 and carrying through to 1915, when the nation was fully entrenched in Jim Crow segregation. The first half of the series centers on the pivotal decade following the Civil War rebellion, charting black progress and highlighting the accomplishments of the many political leaders who emerged to usher their communities into this new era of freedom. The series' second half looks beyond that hopeful decade, when the arc of history bent backwards. The series also explores the flowering of African American art, music, literature and culture as tools of resistance and the surge of political activism that launched the NAACP among other groups. Reconstruction: America After the Civil War is a production of McGee Media, Inkwell Films and WETA Washington, DC. Henry Louis Gates, Jr. and Dyllan McGee are executive producers. Dalton Delan and Anne Harrington are executive producers in charge for WETA. Corporate support for the film is provided by Johnson & Johnson. Major funding is also provided by the Andrew W. Mellon Foundation; the Ford Foundation; The Gilder Foundation; Lloyd Carney Foundation; Dr. Georgette Bennett and Dr. Leonard Polonsky, CBE; and the Corporation for Public Broadcasting and PBS. For more information about the documentary series, visit www.pbs.org/reconstruction. Viewers are encouraged to join the conversation on social media using the hashtag #ReconstructionPBS on Facebook and Twitter, and with @HenryLouisGates. The Howard and Abby Milstein Foundation takes on some of the most challenging issues facing the world today. The Foundation's strategic gifts, institutional leadership and hands-on involvement stimulate innovation, create efficiencies and produce results in seven core areas: Medical Research, Biotechnology & Science; Higher Education & Youth; History; Religious and Communal Organizations; Arts & Culture; Law Enforcement & Homeland Security; and Civic Engagement. The Howard and Abby Milstein Foundation (http://www.howardandabbymilsteinfoundation.org) has served as primary sponsors of several landmark public television programs. In addition to Reconstruction: America After The Civil War, the foundation has underwritten Henry Louis Gates Jr.'s previous documentary series, 2016's Black America Since MLK: And Still I Rise, 2013's The African-Americans: Many Rivers to Cross, as well as the critically acclaimed PBS series Shakespeare Uncovered, and Simon Schama's The Story of the Jews and the Fate of the World. BOSTON, March 11, 2019 — The Athenæum is pleased to announce that Theo Tyson, a curator and scholar with interests in feminism, gender, identity, and the sociocultural implications of clothing in fashion and art, has been appointed Polly Thayer Starr Fellow in American Art for a two-year period. Tyson earned a Master's degree at Savannah College of Art and Design. In addition to curatorial work at the Atlanta-based SCAD FASH Museum of Fashion + Film, she has served as project manager and graduate assistant at the Spelman College Museum of Fine Art, coordinating exhibition-related programs and conducting research. 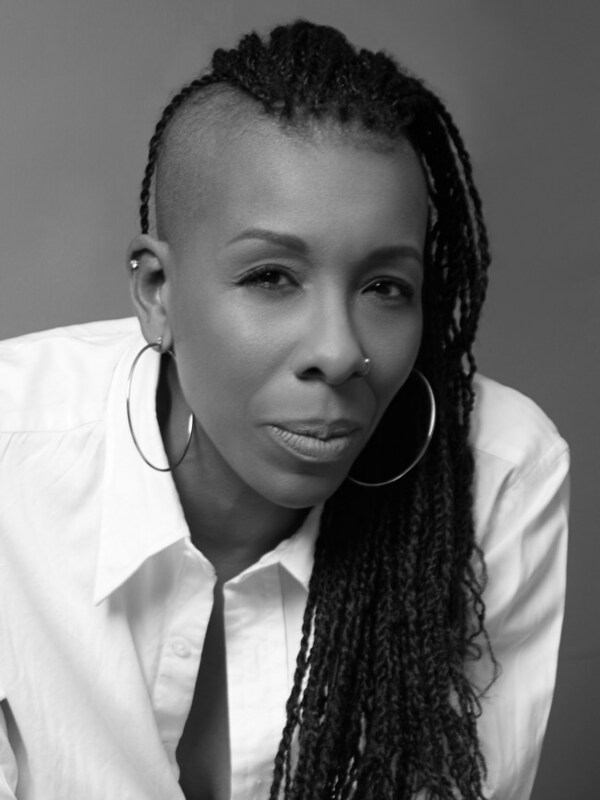 For more than 12 years in Atlanta, Tyson exercised her creative and entrepreneurial talents as the owner of trinity productions, producing art exhibitions, luxury fashion shows, and other experiential events while building strategic partnerships in the arts and business communities. "We are delighted that Theo Tyson has accepted our offer to serve as the Polly Thayer Starr Fellow," said the Athenæum's John Buchtel, Curator of Rare Books and Head of Special Collections. "She has an impressive track record in curatorial and exhibition work, including an abiding interest in daguerreotypes and other early photography. She stood out as a candidate with her terrific presentation on a carte de visite from the Athenæum's collection depicting a pioneering 19thcentury sculptor, Edmonia Lewis." "I'm thrilled to be joining such an historic Bostoninstitution," Tyson commented. "I look forward to working with the Athenæum community and, more broadly, as part of Boston's cultural landscape as I engage them in my research and share thought-provoking materials from this storehouse of nationally important treasures." The Polly Thayer Starr Charitable Trust permanently furthers the artistic legacy of New England artist Polly Thayer Starr(1904-2006) and enhances the appreciation and knowledge of other artists whose works are reflective of her life and interests. Widely exhibited both during her lifetime and after her death, Starr captured in her works the culture and whimsy of her native Boston with a unique combination of detail, emotion, and wit. Her art is represented in numerous museums and private collections. Visit the Trust online at www.pollythayerstarr.org. The Boston Athenæum, one of the most distinguished libraries in the nation and Boston's first cultural institution, opened its doors in 1807. Collection highlights include the King's Chapel Library collection, with roots in the 17th-century settlement of Boston; rare publications in Native American languages; books from the personal library of George Washington; historic early European printed works; and numerous works of fine art, including portraits of notable Americans such as Hannah Adams and Alexander Hamilton. An extensive collection on the art of the book includes examples of bookbinding, fine printing, and contemporary artists' books. The Athenæum is a cultural treasure, a refuge in the heart of Boston. NEW YORK, March 6, 2019 /PRNewswire/ -- Bobbi Brown Cosmetics is proud to partner with three multi-dimensional women to magnify its original ethos of celebrating individual beauty and female empowerment with the launch of the "Confident Beauty" campaign. American actresses Yara Shahidi and Elizabeth Olsen, along with Chinese actress NiNi are the brand's newest global celebrity spokeswomen brand sharing their "beauty truths" – the guiding honesties behind the lives they lead, to inspire women everywhere. "Remaining true to our brand's core essence, each of these powerhouse women are emblematic of the modern Bobbi Brown consumer - confident, individually beautiful and defining success on their terms," says Sandra Main, President Bobbi Brown Cosmetics. The campaign will hero the brand's longstanding and beloved foundation products of Skin Long-Wear Weightless Foundation and Intensive Skin Serum Foundation. The Skin Long-Wear Weightless Foundation lineup will also be expanded with 12 new shades globally. Bobbi Brown Cosmetics has always been committed to providing the perfect match for all skin tones. Our deepest foundation shade family is still Espresso, which was first introduced in 1992 with the launch of Foundation Stick. The brand's unique shade philosophy originated from the intuition and precise eye of an artist, who recognized that the truest skin match meant looking beyond skin's surface to the natural undertones that create each women's unique skin color. The result has always been a broad shade range of undertone correct, skin true shades that deliver fresh, healthy, glowing skin. Black and Iranian actor and activist, Yara Shahidi explains what drew her to Bobbi Brown, "I think the brand represents what my generation represents: The importance of inclusion. The fact that it's been so important for the brand in both makeup and philanthropic endeavors since the beginning, speaks to the fact that it's not a commercial trend but something they're committed to." "It's incredible to be part of a brand that has been so consistent and true to its identity in an industry that's so inconsistent. Since the 90s we have seen many trends come and go and come back again, and Bobbi Brown Cosmetics has always been a timeless brand," says actor, producer and women's advocate, Elizabeth Olsen. Award winning Chinese actor, NiNi first fell in love with the brand while preparing for a red carpet appearance by her longtime makeup. "For me, I admired the brand's quality products that made my skin glow, effortless New York spirit and the limitless feeling of confidence." In celebration of the Confident Beauty campaign, Bobbi Brown Cosmetics will officially launch The Pretty Powerful Fund on International Women's Day March 8th. Bobbi Brown Cosmetics will donate $400,000 to four worthy charities selected by our ambassadors that reinforce the Fund's mission of supporting the creation of new possibilities for women and girls. The first iteration of the partnership will appear in March 2019 worldwide. Preview the campaign at Bobbi Brown. LOS ANGELES, Feb. 25, 2019 -- Forevermark diamonds lit up the red carpet at the 91st Annual Academy Awards on Melissa McCarthy, Yalitza Aparicio, Serena Williams and Amandla Stenberg. Classic diamond statement pieces in the form of dramatic earrings, glamorous necklaces, and stacks of diamond line bracelets were top choices for nominees and presenters. Best Actress nominee, Melissa McCarthy, looked elegant in a black and white caped pantsuit paired with a classic diamond Riviera necklace, stud earrings and three diamond cocktail rings. Melissa McCarthy said of her look, "Diamonds are forever… until you have to give them back the next day! It is a dream to wear Forevermark diamonds — they are beautiful and strong just like the amazing female miners, geologists, engineers, trainers, expert craftspeople, and other amazing women that are part of their diamonds' journeys." Oscars newcomer Yalitza Aparicio, also nominated for Best Actress, chose incredible fancy yellow diamond drop earrings and a fancy yellow diamond ring, together totaling more than 20 carats to complete her fairytale look. "Es un sueño vestirme hoy con diamantes Forevermark. Son marvillosos para lucir en esta noche tan especial," said Yalitza of her look. Yalitza's stylist Sophie Lopez added, "Forevermark diamonds were the final finishing touches to Yalitza's look tonight and they truly embody a lifelong reflection of beauty, perfection and strength just like Yalitza on this special night." Adding to the group of remarkably talented, strong women who have worn Forevermark, tennis superstar Serena Williams, who presented, donned an incredible pair of 46 carat asscher drop earrings, a stack of diamond line bracelets and two cocktail rings, her entire look totaling over 150 carats. Forevermark is committed to championing female talent whether on the red carpet or in its diamond producing countries like Botswana, South Africa, Namibia and Canada. As part of The De Beers Group, Forevermark is proud to stand with women and girls and recognizes the significant contribution of women to building the future of the communities where it operates. Who: Actor and Academy Award Nominee Melissa McCarthy, Can You Ever Forgive Me? WASHINGTON, Feb. 22, 2019 -- The Association of Black Cardiologists (ABC), Inc., is proud to participate in National Heart Valve Disease Awareness Day—an annual campaign on February 22 to inform both patients and providers about the specific risks and symptoms of heart valve disease (HVD) and advocate for better access to life-saving treatment for communities of color. This marks the third year the ABC has partnered with a coalition of organizations to engage in a live Twitter chat (at 1 p.m. EST), hosted by the Alliance for Aging Research and the American Heart Association (AHA). "In many instances, valvular heart disease is treatable and at times can be treated through less invasive measures," says Oluseun Olukayode Alli, MD, Co-Chair for the ABC Structural Heart Disease Program and an interventional cardiologist at Novant Health Heart & Vascular Institute in Charlotte, NC. "It is critical that all of our patients become knowledgeable about the technologies that can save their lives, and, more importantly, do so in a manner that maintains their quality of life." HVD is a degenerative condition which involves a damaged valve that disrupts blood flow by not opening or closing properly. While some types are not serious, other types such as aortic stenosis (AS) can lead to major complications—including death. "When left untreated, severe aortic stenosis has a 50% mortality rate," says Aaron Horne, Jr., MD, MBA, MHS, a member on the ABC Board of Directors, the Co-Chair of the ABC Structural Heart Disease Program and a structural interventionalist at Heart & Vascular Specialists of North Hills in North Richland Hills, TX. "African-Americans are underdiagnosed and undertreated for this disease. At the ABC, we are determined to educate patients about AS in an attempt to level the playing field. Access to this information is important to bettering outcomes. All patients, regardless of their demographics, should have access to the same evidence-based data and treatment recommendations." As many as 11 million Americans have HVD and an estimated 25,000 people in the U.S. die from the disease each year. However, a recent survey found that less than one in four adults know somewhat or a great deal about HVD, and 30 percent of respondents over age 65 say they know nothing about it. The day's theme, "Listen to Your Heart," encourages our patients, families, and community to know their risk factors for HVD, listen to their hearts and get them checked regularly, and to know where to turn if they notice symptoms. More info about the condition can be found at ValveDiseaseDay.org. The Twitter chat can be followed using hashtag #ValveDiseaseDay. For news and updates on the day's activities, follow the Twitter handle @ValveDiseaseDay. Founded in 1974, the ABC is a nonprofit organization with an international membership of more than 1,800 healthcare, lay professionals, corporate and institutional members. The ABC's mission is to promote the prevention and treatment of cardiovascular disease, including stroke, in Blacks and other minorities and to achieve health equity for all through the elimination of disparities. For more information on the ABC and its other advocacy efforts for the campaign, visit http://www.abcardio.org. SOURCE Association of Black Cardiologists, Inc.
Tom Joyner Foundation Fantastic Voyage® Presented By Denny's Sets Sail April 7th For Epic 20th Cruise Getaway Announcing The Entertainment Lineup For The "Ultimate Party With A Purpose!" The 20th annual Tom Joyner Foundation Fantastic Voyage cruise will set sail in April 2019 with an all-star entertainment lineup including Janet Jackson, Charlie Wilson, Fantasia, Maxwell and many more. DALLAS, Feb. 20, 2019 /PRNewswire/ -- The original Party with a Purpose® is setting sail on an epic 20th Voyage! The 2019 Tom Joyner Foundation Fantastic Voyage® presented by Denny's will sail from Miami April 7-14 on the Carnival Magic and make stops in the Caribbean's Amber Cove, San Juan and St. Thomas. Created as a fundraiser to support students in school at Historically Black Colleges and Universities, this year's cruise will feature entertainment favorites, informative seminars, morning inspiration, fitness classes, notable celebrities, and popular theme nights. Music superstars including Janet Jackson, Maxwell, Charlie Wilson, Fantasia, KEM, and more will headline a jam-packed entertainment lineup. The full lineup for the Fantastic Voyage Cruise is on BlackAmericaWeb.com, though other performing artists from today and yesterday in R&B, Soul, Inspiration/Gospel, Hip Hop and Funk include WAR, Sheila E., Chrisette Michele, Biz Markie, MC Lyte, Smokie Norful, Pastor Shirley Caesar, Brian Courtney Wilson, Midnight Star, S.O.S. Band, Oaktown 357, Mase, Black Sheep, Lady of Rage and more. Tom Joyner stated, "I'm proud of a lot of things we've accomplished on the Tom Joyner Morning Show, but I think I'm most proud of all the students we've helped stay in school for the last 20 years, and our biggest fundraiser for HBCUs is the Fantastic Voyage cruise. This year our lineup makes it all the more special - Janet Jackson, Charlie Wilson, Maxwell and an endless list of performers!" "It has been an honor for Denny's to be a part of this great work with the Tom Joyner Foundation for almost two decades," said Denny's President and CEO John Miller. "When we invest in our students, we know we are investing in the future." The Fantastic Voyage® has uniquely become one of the most talked about and sought-after events in the country. Developed upon realizing the needs of African-American cruisers were not being met, Joyner combined his purpose with entertainment (something done daily on his morning show) and came up with the idea to sell cabins at a premium rate to get a superior experience and underwrite HBCUs. By specifically catering to his audience/passengers through ALL activities, media, and even food and beverage, Joyner created an exclusive event that sells out annually and features an exciting lineup of activities and famed entertainers. This is Denny's second year as the cruise title sponsor. For over 18 years, the Tom Joyner Foundation has partnered with Denny's to support higher education causes, including the Denny's Hungry for Education Scholarship, a program that recognizes and rewards students who show initiative and creativity in the fight against childhood hunger in their communities. This year, the Tom Joyner Foundation/Denny's Filmmaker's Scholarship Program will recognize six outstanding students from HBCUs who have produced a film about hunger in their communities. On behalf of Denny's, the Tom Joyner Foundation has awarded more than $550,000 in scholarships to deserving elementary, high school, and college students. The Hungry for Education program, as a whole, has awarded more than $1 million in scholarships. Denny's sponsorship of the Fantastic Voyage is another means by which the company demonstrates a commitment to higher education for minority students. Joyner first gained popularity after earning the nickname "The Fly Jock" while flying round-trip between Dallas and Chicago five days a week for seven years to host the morning and afternoon drives in two different cities. In his 25 years as a leader in the industry, Joyner's impact and influence have never wavered. As previously announced, Joyner will end his groundbreaking radio show December 31, 2019. Though no final decisions have been made, Joyner vows to continue the Fantastic Voyage and support of the Tom Joyner Foundation for many years to come. The 2019 Tom Joyner Foundation Fantastic Voyage® presented by Denny's will take place on the Carnival Magic. For more information, please visit BlackAmericaWeb.com. Itinerary, schedule and performances are subject to change. The Tom Joyner Foundation (http://tomjoynerfoundation.org) was founded in 1998 as the brainchild of nationally syndicated radio personality Tom Joyner. The mission of the Foundation is to support historically black colleges and universities (HBCUs) with scholarships, endowments, and capacity-building enhancements. The Foundation has provided necessary support to every HBCU in its 19-year history to help sustain and preserve the legacies of these valuable institutions. Through fundraising and donor development initiatives, in excess of $65 million has been raised to support more than 29,000 students attending HBCUs. Additionally, the Foundation has recommended internships, offered matching grant support, and career development to deserving students. Denny's is one of America's largest full-service family restaurant chains, currently operating over 1,700 franchised, licensed and company-owned restaurants across the United States, Canada, Puerto Rico, New Zealand, Mexico, Costa Rica, Dominican Republic, Honduras, Guam, the United Arab Emirates, Chile, Curaçao, El Salvador, Trinidad and Tobago, and the Philippines. For further information on Denny's, including news releases, please visit the Denny's website at www.dennys.com or the brand's social channels via Facebook, Twitter, Tumblr, Instagram, or YouTube.